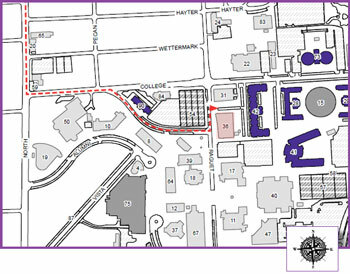 When traveling south on North Street, turn left onto East College Street. Veer right on Aikman Drive. 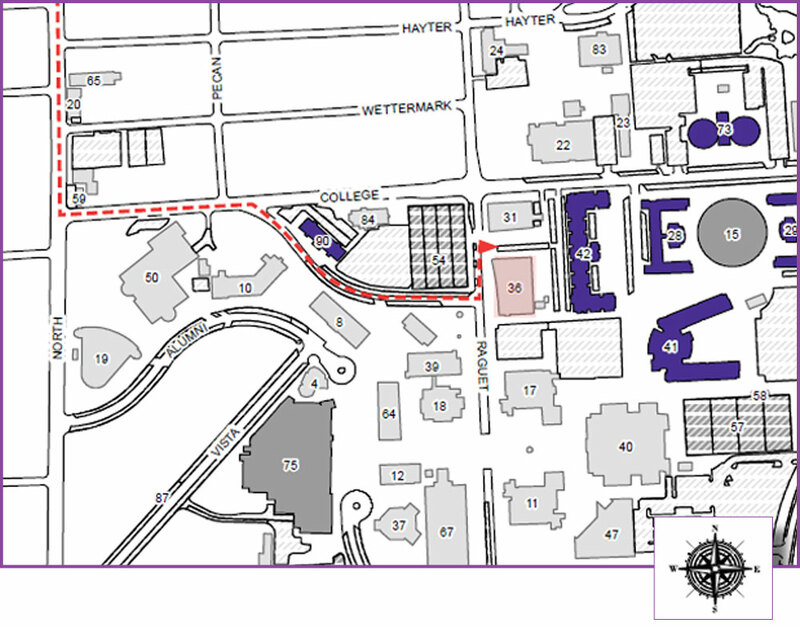 At the end of Aikman Drive, the Human Services building will be directly in front of you. Turn left onto Raguet and take an immediate right into the Clinic Parking on the north side of the Human Services Building. The Cole Audiology Lab is located on the 2nd floor in room 202.